The Greek situation - having perhaps outlived the term "crisis," now that it has taken so long to unfold - appears to have finally reached its terminal point. This is, of course, an illusion: It has been at its terminal point for a long time. The European creditors - specifically, the Germans, who have really been the ones controlling European negotiations with the Greeks - reached their own terminal point more recently. The Germans are powerful but fragile. They export about a quarter of their gross domestic product to the European free trade zone, and anything that threatens this trade threatens Germany's economy and social stability. Their goal has been to keep intact not only the euro, but also the free trade zone and Brussels' power over the European economy. Germany has so far avoided an extreme crisis point by coming to an endless series of agreements with Greece that the Greeks couldn't keep and that no one expected them to keep, but which allowed Berlin to claim that the Greeks were capitulating to German demands for austerity. This alleged capitulation helped Germany keep other indebted European countries in line, as financially vulnerable nations witnessed the apparent folly of contemplating default, demanding debt restructuring and confronting rather than accommodating the European Union. For the Germans, Greece represented a dam. What was behind the dam was unknown, and the Germans couldn't tolerate the risk of it breaking. A Greek default would come with capital controls such as those seen in Cyprus, probably trade barriers designed to protect the Greek economy, and a radical reorientation of Greece in a new strategic direction. If that didn't lead to economic and social catastrophe, then other European countries might also choose to exercise the Greek option. 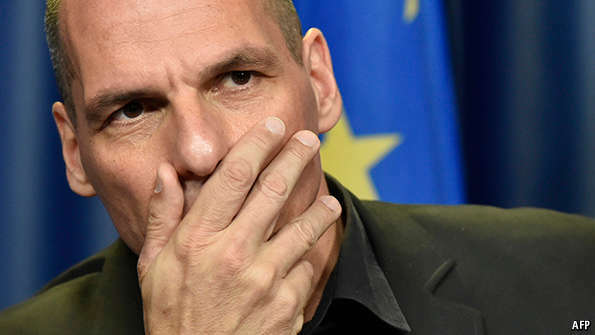 Germany's first choice to avoid the default was to create the illusion of Greek compliance. Its second option was to demonstrate the painful consequences of Greece's refusal to keep playing the first game. 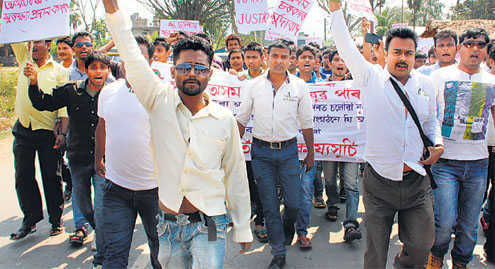 Nagaland, unlike Manipur, is ripe for a peaceful resolution. Two decades of peace has enlarged the peace constituency, bringing home the benefits to the silent majority — the people. THE recent spate of ambushes of security forces in the North-East remind us that, at the policy level, violence can be a communication medium or tool. The Khaplang-led Nationalist Socialist Council of Nagaland (NSCN-K) was doing precisely that, abrogating the ceasefire and orchestrating these incidents over three states, targeting only the Central Security Forces (Army and Assam Rifles). The calibrated violence, progressively, led to two, four, eight and 19 casualties of the security forces. The remote rulers being addressed in Delhi, never had their ears to the ground and could only hear the signals after the June 4 ambush in Manipur. The message being sent was that the NSCN (K), perceiving their marginalisation in the peace process, were demonstrating their relevance. Bansi Lal wanted the Army to provide water tankers at Indira Gandhi’s rallies. The Army declined to do so unless orders were issued to provide water at meetings of all political parties. I was director, Military Intelligence (DMI), during the Black Emergency when Jayaprakash Narayan (JP) and over one lakh Indian citizens were imprisoned overnight. I had known JP, the hero of the 1942 Quit India Movement, since my childhood. He and my father were classmates in college. Though he was close to Nehru and JP’s wife, Prabhavati, was a good friend of Kamla Nehru, JP had declined Jawaharlal Nehru’s invitation to be deputy Prime Minister and later to be President. 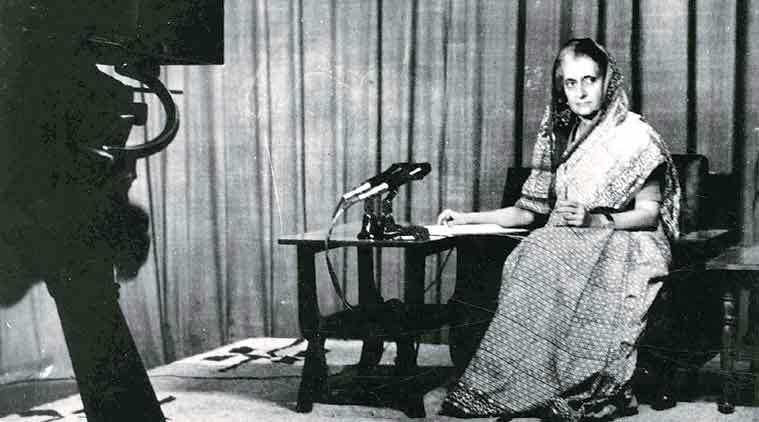 Despite this, JP and Indira Gandhi had strong differences over corruption in government, forcing him to launch an anti-government student’s movement that gained tremendous momentum in North India. In early June 1975, I was on a flight from Patna to Delhi and JP happened to be sitting next to me. We talked about personal matters and not a word of politics. Most of the time he was reading some papers. On arrival in Delhi, I took his briefcase and we walked to the terminal building where thousands had come to welcome him. I handed over the briefcase to one of his men, saluted him and left. The next morning when I went to see the Army Chief, he asked me if I was close to JP. The Intelligence Bureau must have reported the incident at the airport. I said that JP was our family friend whom I had known since my childhood. The Army Chief told me not to worry. The only ground report on the forcible sterilisation campaign during Emergency appeared in a little-known magazine. A little magazine from Mumbai was the only national publication in India to carry a story on the excesses of Sanjay Gandhi’s pet mass sterilisation programme at the height of the Emergency, defying the government’s draconian press censorship regulations. Fulcrum was founded by Yogi Aggarwal just weeks before the Emergency was declared in June 1975. The novelist Cyrus Mistry was an assistant editor, poet Nissim Ezekiel and writer Farrukh Dhondy were columnists, the Irish graphic designer Sean Mahoney was art director, and Pradeep Guha, who later joined The Times of India and became a media czar, was advertising manager. Over the last year and-a-half, Iran and the P5+1 have steadily reached various milestones in their negotiations on the nuclear issue. After the announcement of the framework agreement in April this year, the two sides are now embarked on the endgame, with the final agreement likely in July. Both Israel and Saudi Arabia view the emerging US rapprochement with Iran with the greatest alarm, clearly indicating that their primary concern has not been Iran’s nuclear weapons’ capability as much as the fear of Iran’s enhanced role in regional affairs commensurate with its geopolitical, energy and economic resources. From the Saudi perspective, the US’ engagement with Iran is taking place in the midst of a series of crises generated by the Arab Spring, which threaten Saudi interests. Thus, there is increasing Iranian influence in Iraq where newly-empowered Shia militia, supported by Iranian forces, are leading the fight against the Islamic State in Iraq and Syria (ISIS). In 2006, Chinese television broadcast a documentary series titled ‘The Rise of the Great Powers’ (Daguo jueqi). Produced by a group of eminent Chinese historians, the series took the country by storm with its bold, impartial look at the reasons behind the rise and fall of nine world powers in the modern era. The broadcast, in hindsight, might have been the beginning of China’s move away from Deng Xiaoping’s 24-character strategy that enjoined it to “…hide our capacities and bide our time; be good at maintaining a low profile; and never claim leadership.” The decades of economic reforms were beginning to show results. By the time the global financial crisis had wrought its damage in the West, the Communist Party of China (CPC) had abandoned much of Deng’s advice. Today, this is evident in two very different approaches in Chinese foreign and security policies. Once upon a time, not far from Nathu-la, the pass situated at 4,310 metres above sea level between Sikkim and Tibet, India had a stunning Trade Agency in Yatung in Tibet. This came back to mind when I saw some photos of the launch of the second pilgrims’ route to Mount Kailash. When Chinese President Xi Jinping visited India in September 2014, he agreed to open this ‘easier’ route. The present route, via Lipulekh Pass in Pithoragarh’s district of Uttarakhand (and Purang in Tibet), is dangerous and often badly damaged by landslides. Prime Minister Modi was keen to have an alternate route; Xi Jinping offered the Sikkim one, though it is a much longer route compared to Shipki-la in Himachal or Demchok in Ladakh, which had been requested by India. Anyhow, the deal was signed and the details worked out when PM Modi went to China in May. The “water wars” narrative in the context of the Brahmaputra River is premature and unhelpful. With China’s late-2014 completion of the Zangmu dam, the largest hydropower dam on the Brahmaputra River (known in Tibet as the Yarlung Tsangpo River), many Indian and international security experts have been warning of the coming of “water wars” between the two countries. Those who worry about this scenario have three major arguments. First, China will face serious water shortages in the future and so will begin to divert water flow from the Brahmaputra River to its dry north. Second, this would be catastrophic for downstream countries. Third, China’s unwillingness to sign any binding agreement with downstream countries over trans-boundary rivers is evidence of Beijing’s insistence on absolute sovereignty over water, to the significant detriment of downstream countries. Can Pakistan and India consign their longstanding animosity to history and renew their relationship on the basis of contemporary interests? That question hovered over a discussion between Nisid Hajari, author of the recently published Midnight’s Furies: The Deadly Legacy of India's Partition, former Ambassador of Pakistan to the United States Husain Haqqani, and CNN host Fareed Zakaria. Haqqani pointed to India and Pakistan’s ongoing dispute over the region of Kashmir, which began after the partition of India in 1947, as a pivotal issue in India-Pakistan relations. 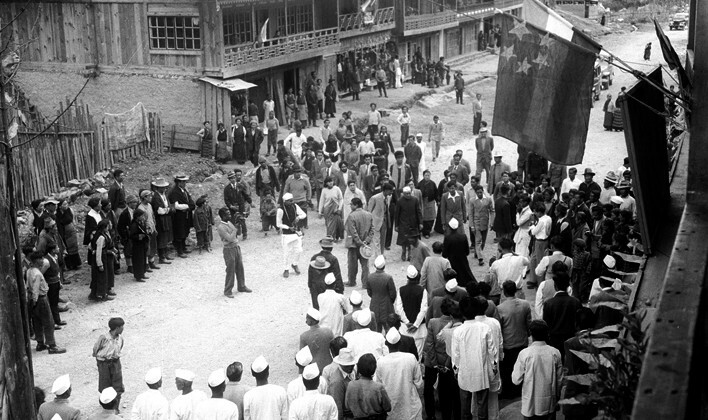 WHO’S AFRAID OF CHINESE COLONIZATION? Russian readers were also enraged by comments from retired Major General Wang Haiyun, a senior advisor at the China Institute of International Studies and a former military attache at the Chinese embassy in Moscow. The newspaper Huanqiu Siabao (The Global Times) cited Wang Haiyun as saying that the deal would spur a relaxation of Russian migration law and a large-scale influx of Chinese labor into the Zabaikalsky region. WASHINGTON— Peter Singer, one of Washington’s pre-eminent futurists, is walking the Pentagon halls with an ominous warning for America’s military leaders: World War III with China is coming. In meeting after meeting with anyone who will listen, this modern-day soothsayer wearing a skinny tie says America’s most advanced fighter jets might be blown from the sky by their Chinese-made microchips and Chinese hackers easily could worm their way into the military’s secretive intelligence service, and the Chinese Army may one day occupy Hawaii. 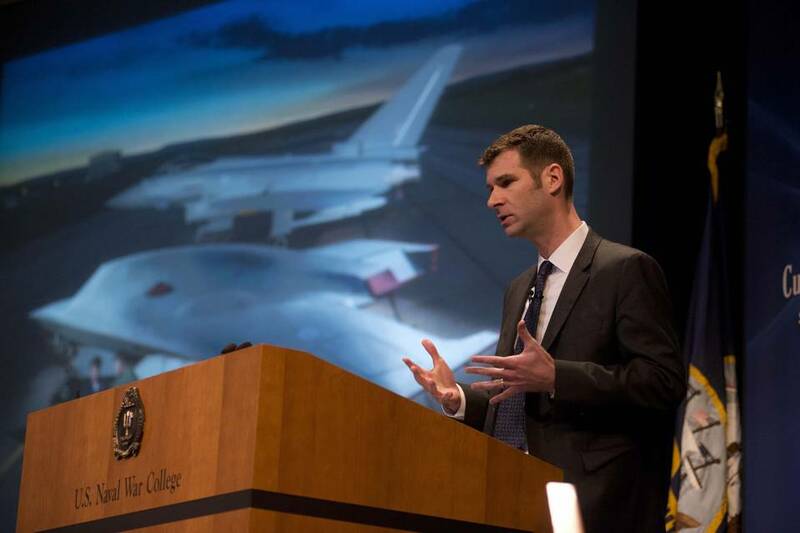 The ideas might seem outlandish, but Pentagon officials are listening to the 40-year-old senior fellow at the New America Foundation, a nonpartisan think tank. Here's how newcomers to the Chinese security field can really master their craft. A Chinese submarine docked in Pakistan for the first time ever last month. According to numerous Indian media outlets, a People’s Liberation Army Navy conventional Yuan-class 335 submarine docked in Karachi, Pakistan on May 22. The reports said that the ship received replenishments for about a week inside the port. The submarine had a crew of about 65 sailors, according to the reports. The news was first reported by India Today. This is not the first time that Chinese submarine deployments have rattled India in recent months. A Song-class diesel-electric attack docked in Colombo, Sri Lanka last September, greatly irking New Delhi. Just a few weeks later, a second Chinese submarine docked in Sri Lanka as well. This is a bit of a departure from my usual writing, but I would like to recommend and discuss a book written by a friend and former colleague of mine, Peter Singer, entitled: Ghost Fleet: A Novel of the Next World War (co-authored with August Cole). I do so with admiration for the book—and also a firm conviction that many will find it important on the substance but also highly entertaining and a great summer read. The book is to some extent in the Tom Clancy genre, but it looks a little further into the future, positing a war pitting the United States against a "Directorate" created by China and Russia in the 2020s. Beyond that basic fact, I will hereby commit to avoid discussing the plot any further, because it is fun and engaging and suspenseful. It is also scary. It's scary because the whole thing is not implausible. One can debate just how likely, but not implausible. In fact, one of the best things about this book is that, while quite clever and extremely well informed, it does not try to be too clever. The plot line is not like something from left field, and the use of the future as well as futuristic technologies is not like fantastical science fiction. BEIJING (Reuters) - China, long accused by the United States of rampant cyber aggression, may be synonymous with hacking exploits these days, but that doesn’t mean every Chinese hacker is out to pilfer and destroy. As Chinese companies grapple with a sharp increase in the number of cyber attacks, many hackers are finding it increasingly lucrative to go above board and join the country’s nascent cyber security industry. Zhang Tianqi, a 23-year old Beijinger, cut his chops in high school trying to infiltrate foreign websites, skirting domestic law by probing for vulnerabilities on overseas gaming networks. Now, after a stint working at internet bluechip Alibaba Group Holding Ltd, he is the chief technology officer of a Shanghai-based cyber security firm which owns Vulbox.com, a site offering rewards for vulnerability discoveries, and internet security media site FreeBuf.com. The MEMRI Cyber Jihad Lab (CJL) has received an exclusive copy of a report released May 25, 2015 by the cyber-security organization Tenshi, “Assessing The Computer Network Operation (CNO) Capabilities of the Islamic Republic of Iran.” The report includes an analysis of the cyber threats posed by Iran, including its use of academia as a hotbed for cultivating future hackers, as well as a review of the most prominent and active Iranian hacker groups. The following is the CJL’s review of this report. At the very least, it’s a propaganda victory for ISIS that the possibility of its involvement in all three incidents was raised almost immediately, even though the group initially claimed responsibility only for the Kuwait attack. Whether or not the attacks were coordinated, or even connected to ISIS, the very suspicion that the organization might be capable of staging simultaneous attacks across such a vast geographic area is beneficial to its image. And the questions surrounding ISIS’s role highlight a central puzzle about the way the group works: Do attacks committed in its name speak to the power of its central leadership—despite a concerted air campaign against its strongholds in Iraq and Syria—or just show the power of its brand among otherwise unrelated killers in different countries? And does it even need to inspire, let alone actively coordinate, attacks in order to benefit from them? In recent weeks, I have found myself spending a lot of time thinking about the jihadist strategy of al Qaeda and how it compares to that of the Islamic State. Earlier this month, I wrote about the possibility that the al Qaeda brand of jihadism could outlast that of the Islamic State. Last week, I wrote about how ideologies are harder to kill than individuals, focusing on the effect that the death of al Qaeda in the Arabian Peninsula leader Nasir al-Wahayshi will have on the group and the wider global jihadist movement. But beyond the impact of leaders like al-Wahayshi, there are other facets of strategy that will influence the war for the soul of jihadism. Specifically, I am talking about time and place. Both al Qaeda and the Islamic State seek to establish a global caliphate, but both differ quite starkly in how to accomplish this task and how soon it can be achieved. US policymakers sign and date paper calling for the division, destruction, and US occupation of Syria. Unbeknownst to the general public, their elected politicians do not create the policy that binds their national destiny domestically or within the arena of geopolitics. Instead, corporate-financier funded think tanks do – teams of unelected policymakers which transcend elections, and which produce papers that then become the foundation of legislation rubber stamped by “legislators,” as well as the enumerated talking points repeated ad naseum by the corporate-media. Such a policy paper has been recently written by the notorious US policy think-tank, the Brookings Institution, titled, “Deconstructing Syria: Towards a regionalized strategy for a confederal country.” The signed and dated open-conspiracy to divide, destroy, then incrementally occupy a sovereign nation thousands of miles from America’s shores serves as a sobering example of how dangerous and enduring modern imperialism is, even in the 21st century. Today, war between the United States and China is unlikely. Despite the ongoing cyber escapades, island wrangling, and strategic pivoting, neither state wants to escalate the competition into armed conflict. The rationale for avoiding war is sound — nuclear weapons, economic interdependence, and increasingly lethal conventional weapons ensure that the human and economic costs would be excruciating for all parties involved. For the foreseeable future, both the United States and China will likely rely upon posturing, economic leverage, espionage, and diplomacy to achieve their goals. This seems to be the current consensus and it should be reassuring. However, Professor Christopher Coker of the London School of Economics challenges us to think differently. Is the Greek Banking System on the Verge of Collapse? ATHENS — Greek government officials and banking executives were meeting in Athens on Sunday evening to consider temporarily closing the country’s banks and perhaps setting limits on A.T.M. withdrawals in an effort to keep the banks from collapsing as the Greek financial crisis heads into uncharted territory. The meeting came hours after the European Central Bank said it would not expand the emergency loan program that has been propping up Greek banks in recent weeks, as the government has tried without success to reach a new debt deal with international creditors. If the Greek government closes the banks and imposes so-called currency controls, it would be taking steps similar to those by Cyprus in 2013 to avoid a bank collapse. But in that case, the Cypriot government acted in concert with other European governments as part of a new bailout program. In Greece, the emergency banking measures would be a result of a breakdown in talks with other eurozone countries. The breakdown has intensified pressure on cash-poor banks as jittery Greeks withdraw their savings. It’s a great time to be an international investor. Most countries crippled by the global financial crisis now have their banking systems and fiscal balances under control, and demand for goods and services is returning almost everywhere. And with more economies than ever integrated into global markets, investors have their pick of destinations. So where exactly should they put their money? The Baseline Profitability Index (BPI) is back for its third year with some answers, and Narendra Modi’s India is the place to start. Long before a final Iran nuclear agreement was on the horizon, plans have been afoot to generalize the hoped-for results of diplomacy far beyond the borders of the Islamic Republic. If these ideas bear fruit, after an Iran deal happens, most of the world’s nations will commit not to do things that are critical for building nuclear arms. Of the 185 non-nuclear weapons state parties to the Nuclear Nonproliferation Treaty (NPT), nearly all countries with significant nuclear infrastructure have concluded safeguards agreements permitting the International Atomic Energy Agency (IAEA) to verify that they are not producing or diverting plutonium and uranium for weapons. But the NPT doesn’t expressly ban states from doing the math and science and engineering needed to “weaponize” nuclear material into an explosive device. WASHINGTON — The Defense Department is struggling to apply software patches for known vulnerabilities in a timely way, leaving systems open to hackers, a senior Pentagon official said Wednesday. Instead of daily network hygiene, problems are being dealt with on an "episodic" basis, said Army Lt. Gen. Mark Bowman, the Joint Staff J6, and director or command, control, communication, computers/cyber, speaking at an industry event. "When Microsoft or Adobe comes out with a patch, the bad guys are using that stuff too, so they know where the vulnerable areas are," Bowman said. "We have these combatant command readiness checks, and it appears to be an episodic thing, where a whole lot of work goes on when you're getting ready to be inspected." Though Bowman did not mention a specific incident that linked a security flaw, he said several simple security flaws, easily avoided, have opened the door to breaches. "THE crisis has commenced," declared Michael Noonan, Ireland's normally mild-mannered finance minister, as he left today's Eurogroup meeting in Brussels. It is hard to disagree. One week ago Greece-watchers were wondering whether Alexis Tsipras's left-wing government could strike a deal with its creditors in time to unlock the bail-out money it needs to avoid defaulting on a €1.5 billion ($1.7 billion) IMF payment due on June 30th. It is a sign of how quickly matters have deteriorated in the last 24 hours that the IMF bill, which will now surely be missed, is now a sideshow. Instead, after Mr Tsipras unexpectedly called a referendum over the creditors' latest offer, the question is whether there is still a place for Greece inside the euro zone. On Monday, Nov. 3, 2014, a four-man team from Norse Corp., a small “threat-intelligence” firm based in Silicon Valley, arrived early for an 11:30 a.m. meeting on the studio lot of Sony Pictures Entertainment, in the Los Angeles suburb of Culver City. They were scheduled to see Sony’s top cybersecurity managers to pitch Norse’s services in defending the studio against hackers, who had been plaguing Sony for years. After a quick security check at the front gate and then proceeding to the George Burns Building on the east side of the Sony lot, the Norse group walked straight into the unlocked first-floor offices of the information security department, marked with a small sign reading info sec. There was no receptionist or security guard to check who they were; in fact, there was no one in sight at all. The room contained cubicles with unattended computers providing access to Sony’s international data network. The biggest misstep in the breach of Office of Personnel Management networks was not the failure to block the initial breach but the lack of encryption, detection and other safeguards that should have prevented intruders from obtaining any useful information. The data stolen in the massive OPM breach was not protected by practices like data masking, redaction and encryption — all of which should become the norm, rather than the exception, Rep. Elijah Cummings, D-Md., said during a hearing held by the House Committee on Oversight and Government Reform. "We cannot rely primarily on keeping the attackers out. We need to operate with the assumption that the attackers are already inside," he noted. But OPM CIO Donna Seymour pointed to aging systems as the primary obstacle to putting such protections in place for certain systems, despite having the encryption tools on hand. As a result, data on at least 4.2 million current and former federal employees was compromised from one database and an untold number of background investigations were exposed in another. The recent data breach at the Office of Personnel Management underscores a much bigger problem facing federal cybersecurity, according to the head of U.S. intelligence. A day after ADM Mike Rogers, NSA director and head of Cyber Command, declined to pin the blame of the OPM hack on China, the director of national intelligence directly called out China as "the leading suspect" behind the theft of more than 4 million U.S. personnel records. 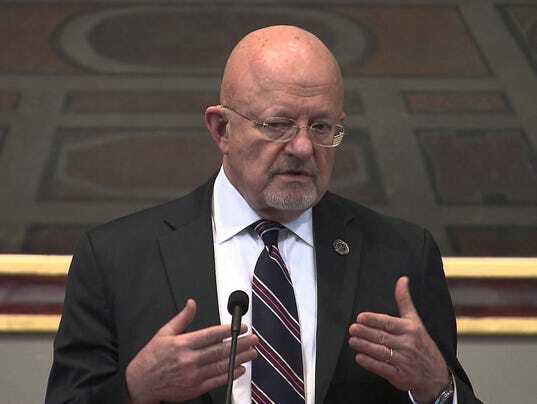 "On the one hand — please don't take this the wrong way — you've got to salute the Chinese for what they did," DNI James Clapper said, calling on U.S. policymakers to sharpen consequences for incidents like the OPM breach. "If we had the opportunity to do that, I don't think we'd hesitate for a minute." Such attacks are not likely to stop without increased intervention, he said. "Until such time as we can create both the substance and psychology of deterrence, this is going to go on … What we must do in the meantime is pay more attention to defense." For starters, there are very few known cases in which blackmail was involved in getting government employees to give up classified information. I finally got my letter from the Office of Personnel Management (OPM). What a relief. I was worried my credibility as a commentator would be damaged if my data wasn’t stolen. Imagine how Dan Rather would have felt had he not received Anthrax. The information age is turning into the disinformation age. From Vladimir Putin’s use of media to hallucinate a war into reality in Ukraine, through to ISIS’ snuff videos and China’s ‘internet ushers’ to control social media, the 21st century is seeing a new intensity and scale of media manipulation and psychological war. Propaganda is as old as the Iliad, but the speed and scale of technological advances, a more liquid use of ideology by authoritarian regimes, and the development of information war theories which envisage defeating the enemy without ever firing a shot, mean that the challenge is being redefined. In the words of Russian media guru Vassily Gatov: “If the greatest battle of the 20th century was the battle for freedom of information, against censorship, then the battle in the 21st will concern the abuse of freedom of information, the use of information as a weapon by authoritarian rulers and aggressive non-state actors”. We have entered a new era of scientific breakthroughs and technological applications that will change life as we know it. 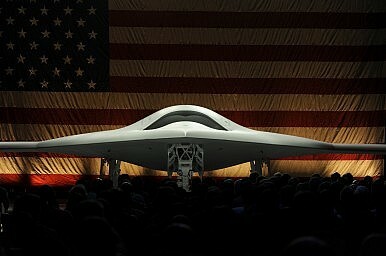 Accelerated technological development is transforming our civilization. The pace of innovation is growing so rapidly that it is becoming exponential as each year passes. This next decade beckons many new technological discoveries and applications. This includes genetic engineering and regeneration of body parts, new cures for diseases, artificial intelligence, augmented reality, nano-technologies, robotics, ultra-high speed trains and self-driving cars, renewable energies, sustainable agriculture, big data, 3-D Printing, digital security, quantum computing, mobility, and paper thin flexible personal computers. You can see the cars on Storrow Drive! (And even more clearly on I-90.) You can see the Prudential Center and the Hancock Building appear to drift, leaning into their shadows as the camera vantage point changes in relation to the ground. Unprecedented spread of terrorist operations across the world by such Islamist fundamentalist groups as the ISIS, al-Qaeda, Boko Haram, al-Nusra Front and al-Shabab has turned into a global threat during recent years. The powerful countries in Europe, Asia and Africa, as well as the United States only came to realize this issue after such groups extended the reach of their extremism and recruitment of members to the borders of the Western countries. Presuming that intelligence and security bodies in powerful countries of the world are efficient enough and in control of the situation, the question is why governments and security institutions claiming to be protecting international system have failed up to the present time to suitably manage and control the activities and the influence of such terrorist groups? In recent years, many public-minded international relations scholars have bemoaned the divide between academic scholarship and policy debates. Too often, academics are asking narrow questions that enable them to utilize disciplinary methods but fail to support efforts to respond to the pressing challenges of our time. Kudos to Ryan Evans and colleagues for creating “The Schoolhouse” and for using it to focus on the academic-policy world gap especially as it relates to foreign policy and international relations. A number of colleagues — including Frank Gavin, Steve Van Evera, Michael Horowitz, Lena Andrews and others (here and here) — have made important contributions on the what and why of the problem as well as some efforts to narrow the gap. This issue of the Quarterly, available here as a PDF download, explores strategies for successfully operating at scale when it comes to innovation, R&D, human resources, and other areas. Download the full issue of McKinsey Quarterly 2015 Number 2 (PDF–4MB). When companies grow, they enjoy advantages such as economies of scale, global reach, interconnected capabilities, brand recognition, and a deeper bench of talent. But scale also creates challenges. Corporate leaders frequently struggle to replicate the actions of fleet-footed entrepreneurs, to cut through corporate bureaucracy, to stay customer-centric, and to marshal the skills and talent of far-flung operations effectively. This issue of the Quarterly offers fresh ideas for confronting scale-based obstacles to innovation, organizational effectiveness, and talent development. It’s conventional wisdom, for example, that large companies are better at execution than at innovation. But in “The eight essentials of innovation,” Marc de Jong, Nathan Marston, and Erik Roth demonstrate that this does not have to be true. Drawing on an exhaustive analysis of 2,500 executives in more than 300 companies, the authors present a comprehensive operating system for innovation—practices that can help companies both set the ground rules for innovation and deliver results. On July 9, the Senate Armed Services Committee will hold aconfirmation hearing for General Joseph Dunford, who has been nominated to be the next chairman of the Joint Chiefs of Staff. Dunford’s hearing should not be contentious, but it will mark the beginning of a little-noticed but incredibly significant change: the impending and near-total departure of the nation’s senior military team. Between now and the end of September, five of the seven four-star service and joint chiefs will step down from their positions and be replaced by new leaders. The chiefs of the Army, Navy, and Marine Corps will exit in September along with both the chairman and vice chairman of the Joint Chiefs of Staff. By the same time next year, the chiefs of the Air Force and National Guard Bureau will depart as well, and the nation’s entire four-star military leadership in Washington will be made up of entirely new faces. For the last two decades, the Asia-Pacific has represented a positive story in geopolitics, at least compared to the chronic instability in the Middle East. There was an integration of economies on both a regional and global level, a rise in prosperity unprecedented in human history, and a relative absence of major conflicts either between nations or within them. This era of stability is ending, however. In the 21st century, this very same good news story has put the region on the geopolitical center stage, and not in a good way. China has enjoyed a political, economic, and now military rise that Foreign Affairs magazine has said may be the “most important international relations story of the 21st century.” The problem is that no one knows how that story might end. Disputes with every one of its maritime neighbors over islands and sea rights are helping to fuel a regional arms race. But underlying these disputes are larger geopolitical questions centering on Beijing’s vision of emerging as the leading global power of the next 100 years, the American response, and whether this reordering will be one that remains only within the realm of politics and economics.